Having roots in traditional attire, Kaftans are perfect symbol of tradition enhancing modernity. Seldom worn as an overdress, reaching to the ankles with long sleeves, kaftans have made their way to the wardrobe of various fashion conscious women. Though market is flooded with varied styles and patterns of kaftans but what is gaining maximum attention is the newly arrived digital print. 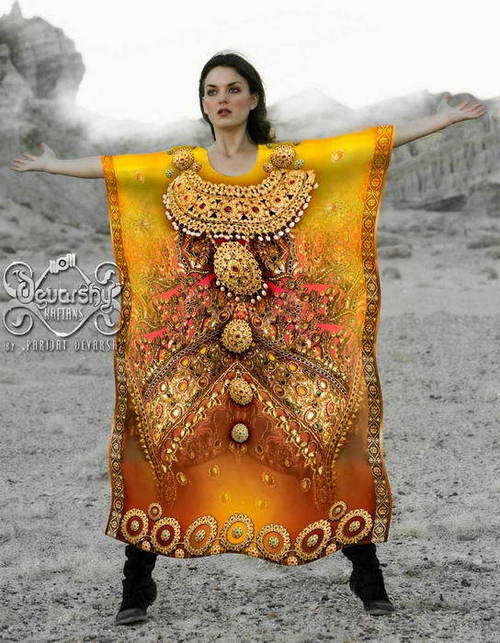 Digital Printed Kaftans are latest fashioned clothing currently adorned by women. They look extremely stylish and trendy with large and small digital prints. To all height conscious ladies who think that their height might hinder in wearing kaftans then there is nothing to worry about. Availability in both large and small digital prints can solve their issue. Short women can flaunt their kaftan look by choosing small printed pattern that will enhance their look. 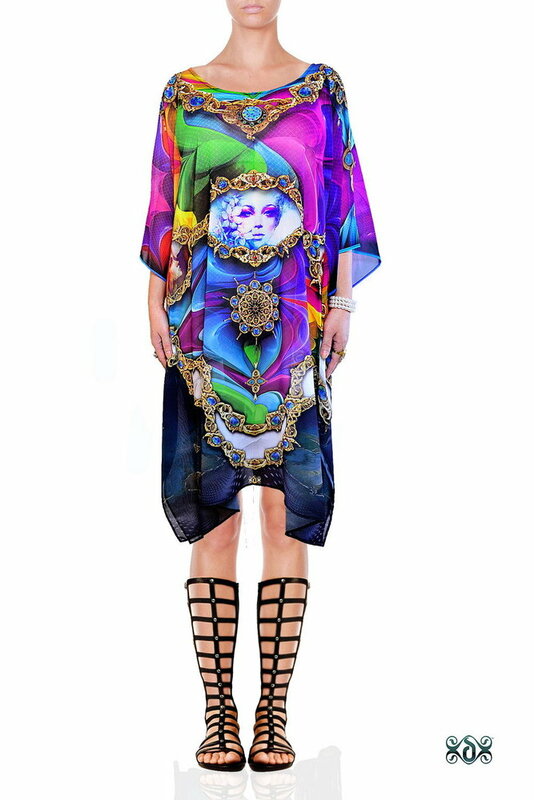 Digital Printed Kaftans can be worn by fashion divas by teeming with jeggings, leggings and slim fit jeans. Vibrant digital prints, elegant look and seamless finish.